Surrender is a game about sensation for three players. Two players called “Pleasers” compete to entice the “Sensor” to their side through touch and sensation. 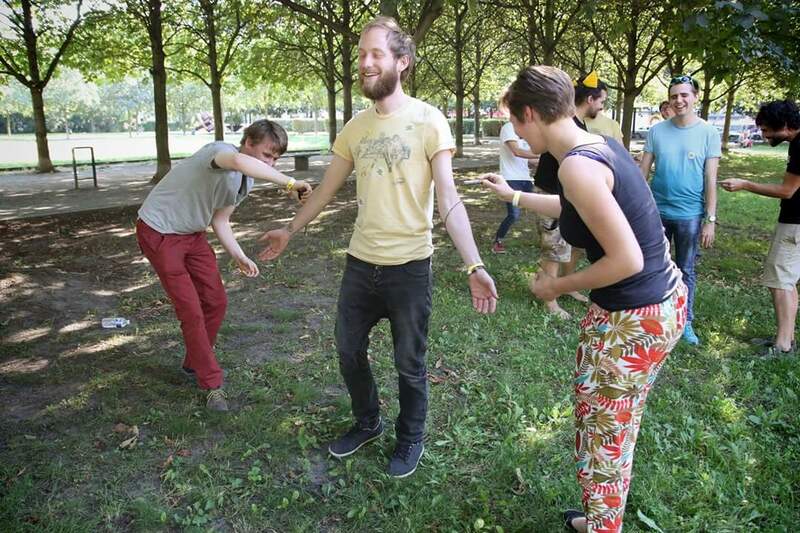 It’s an intimate game that explores sensory experience and physical playfulness. Surrender has been presented at F.R.O.G. in Vienna, Austria (2015), JOIN: Local Multiplayer Summit in Berlin, Germany (2015), Playful Arts Festival in Den Bosch, Netherlands (2016), and IndieCade: Europe in Paris, France (2016).